I love this quote so much. I keep coming back to it year after year. A good friend of mine wrote it on the inside of card right before we moved out west and it brought me to tears. I have had the chance to live in a lot of beautiful places over the years, each and every one of them feeling like home even if just for a short time. I’ve been thinking about France a lot this week, about our life there and all the things I became accustomed to. I would go back for a million reasons but I know it wouldn’t be quite the same. Our life is in Canada now and I’m so sure of that, but it’s sometimes hard to let go of what used to be. What I keep telling myself is that even if we don’t live their anymore, it is still home. And always will be. We build bricks there that will never go away. I think all this nostalgia for that place has a lot to do with this time of year. How the markets would overflowing now and the produce is unlike anywhere I’ve ever seen. The summer season would be winding down and most people had already escaped the sea, so things felt a little quieter. I would make up huge salads and Matt would pick up a baguette on his way home from work and we’d sit out on the balcony for hours. We were younger then and our lives seem so much simpler looking back now. But man we made the most of it. There was this one stall at the market selling all sorts of tapenades and pestos and olives. It was only there in the summertime and it was my favorite. I’d pretend not to know what I wanted just to get a few free taste tests. A good supply from there, a few local tomatoes, some good bread and dinner was set. We’ve never been rich or had much money to splurge on fancy meals but we knew how to appreciate the things we could afford, and we treated ourselves here and there. It was a good life. I made these stuffed roasted red peppers the other night. I served them with a big bowl of mixed greens, some canteloupe with a little chili oil and lots of grilled sourdough. We poured two glassed of wine and sat out on the deck. We tried to eat slowly just to make it last. It’s been a totally different summer for us here, but it’s felt like home all the same and we’ve added a few new bricks to that home with carry with us. 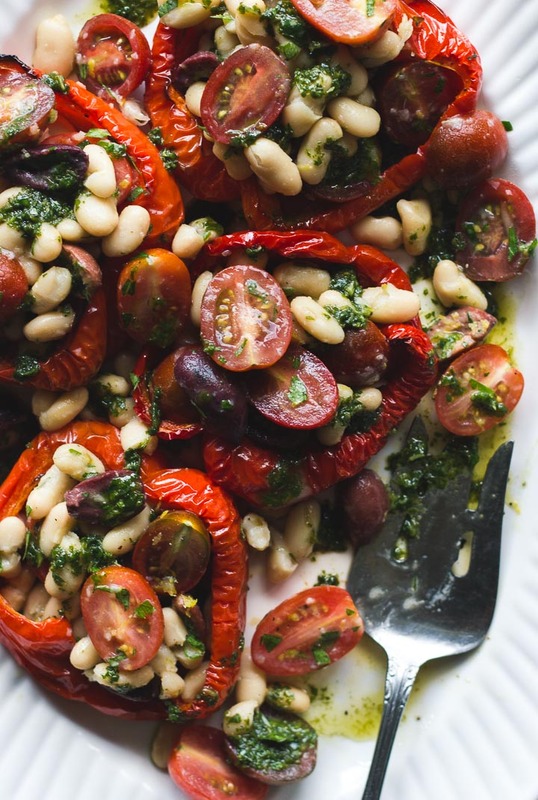 If your cherry tomatoes are passed their prime you can roast them here too. They won’t take as long as the peppers so keep a close eye on them after 15-20 minutes. Ours are just getting good up here so I couldn’t bring myself to do anything to them. 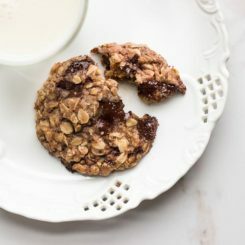 Whatever you do don’t put them in the refrigerator before making these. This dish is best served at room temperature. Along with some good crusty bread to soak up all the basil oil and a chilled glass of white wine to wash things down. Let’s make the most of these summer nights while they last. Serves 4. 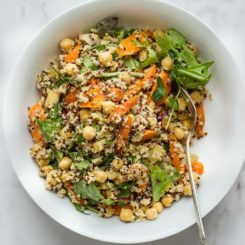 You can easily bulk it out with some cooked quinoa or really good lentils. Preheat the oven to 400 F / 205 C and lined a rimmed baking sheet with parchment. 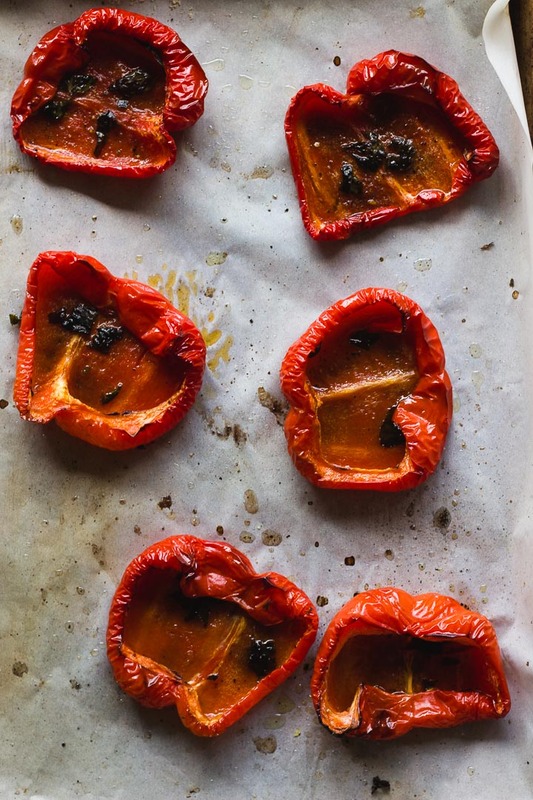 Toss red peppers with olive oil until lightly coated and place on the baking sheet skin side down. Season with salt and pepper. Tear up 1/4 cup of basil and scatter over the peppers. Roast the peppers until soft and beginning to char, 35-40 minutes. Let cool. While the peppers are roasting, marinate the beans. 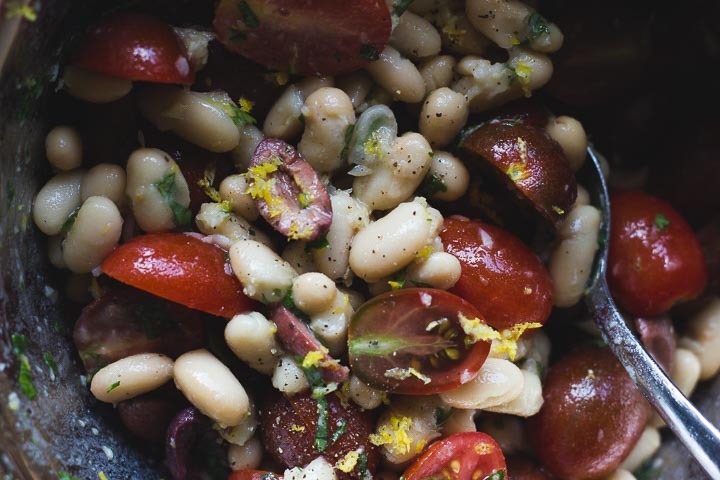 In a large bowl combine cooked white beans, chopped olives, lemon juice and zest, parsley, garlic and a good drizzle of olive oil. Season with salt and pepper and set aside. 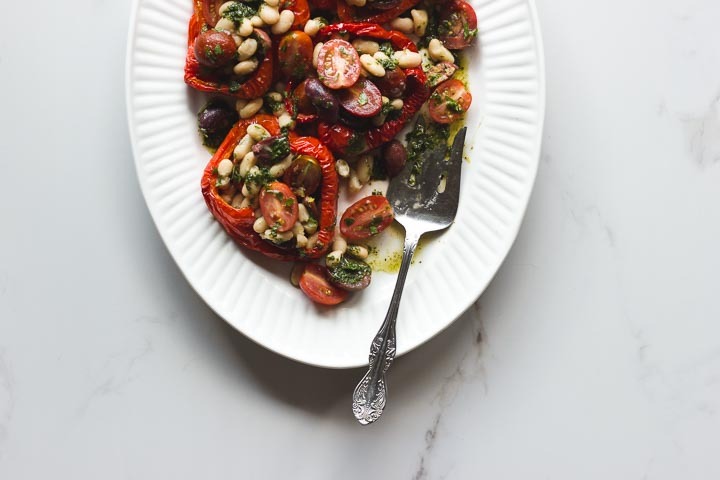 When your ready to assemble, add the cherry tomatoes to the white beans and toss gently to combine. 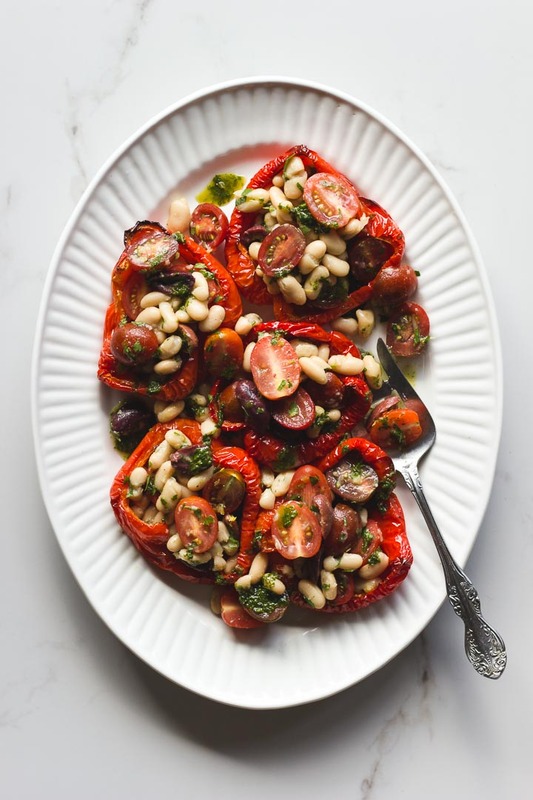 Arrange roasted peppers skin side down on a platter and scoop the white bean salad into them. Scatter any leftover salad around the peppers. Blend remaining 1/2 cup basil with 1/4 cup olive oil until somewhat smooth and season with salt and pepper, then spoon basil dressing over the peppers. I love stuffed pepper but usually I do it with spiced potato. This one looks so clean and light. Definitely going to try. This, grilled sourdough and a summer evening?! Amazing. 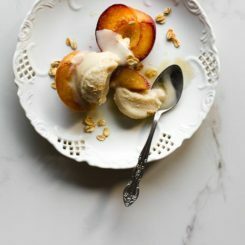 Clicked straight through when I saw this on facebook – some of my favourite flavours combined in a simple meal. 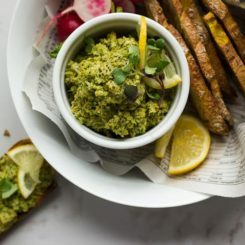 Love the sound of the basil oil especially pulling it together – I’ve tried a few white bean recipes that have been a little bland but I feel like that wouldn’t be the case here! Can’t wait to try . The things you do to humble veg is truly magnificent! So beautiful, Jodi! Lovely meal ! 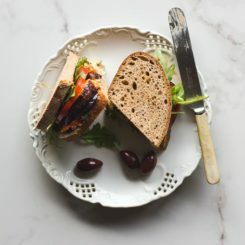 I just made this recipe for lunch and my husband and I loved it. We’ll make it again soon :) Thanks ! I love your quote and your memories. I also love roasted red peppers so this is really making me hungry. I must make this recipe. First, to the store to get peppers. I can’t wait to try this recipe. 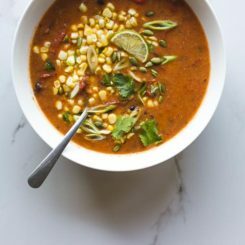 The addition of whit beans makes this recipe so rich and filling!